ESI's Switch-n-Click Convertible Natural Keyboard Platform takes ESI's Natural platform and adds an exceptionally versatile Switch-n-Click mousing platform to the equation. 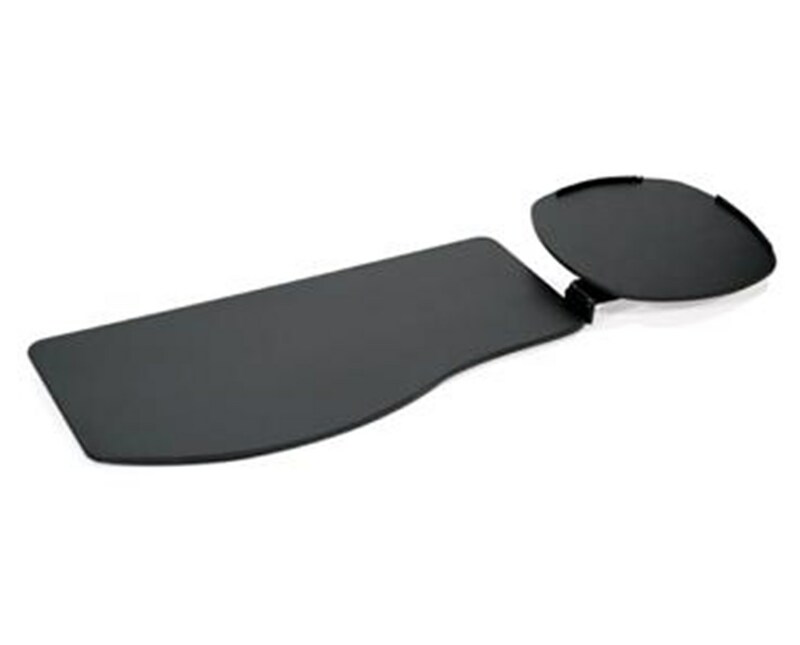 The Switch-n-Click mousing platform provides 90 square inches of mousing area, swivels and tilts independently, and can be placed at two different heights (and three different positions) - making it the most flexible and dynamic mousing experience ESI offers. in direct line with the keyboard at either mouse above height or platform height. Mouse can be positioned over the 10-key to decrease reach. Mouse can be positioned closer to the body for improved ergonomic comfort at either mouse above height or platform height. On top of all that, the mousing platform can be switched from the left side to the right without any tools.